A winning combination of form and functionality. The uniqueness of the Monster also comes from the technical solutions used. The balance between form and functionality has produced a bike that is well thought out down to the last detail, with finishing touches of the highest quality. 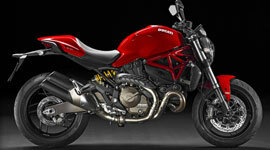 The metallic tank in sheer "Monster style", contributes to defining a superior class of bike. Ducati's traditional trellis frame has evolved, using a typical racing solution, in which the engine is the supporting element. The shape of the tail is sharp and the exhaust system, double and staggered and mounted on one side, leaves no room for doubt about the bike's performance. 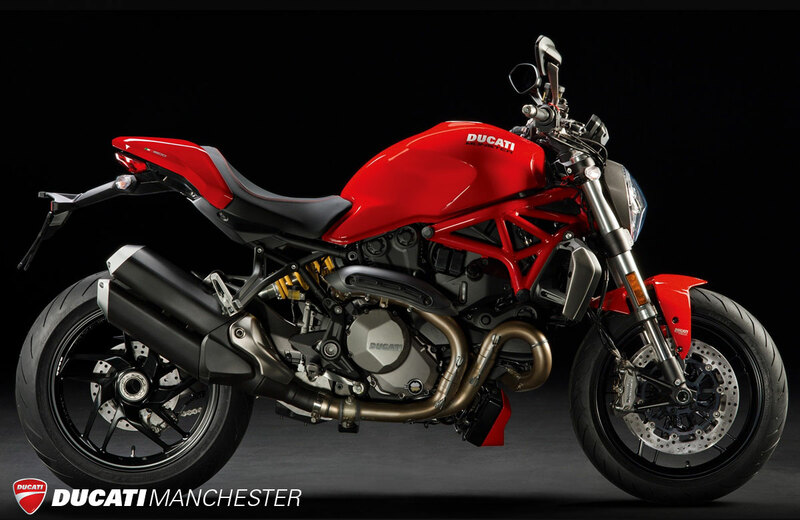 Launched to rave reviews in the early 1990s it introduced a new way of motorcycling and has become an icon of Italian design. 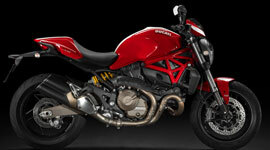 Today, more than ever, it is the bike of choice for top designers, Hollywood stars and Formula One racing drivers. 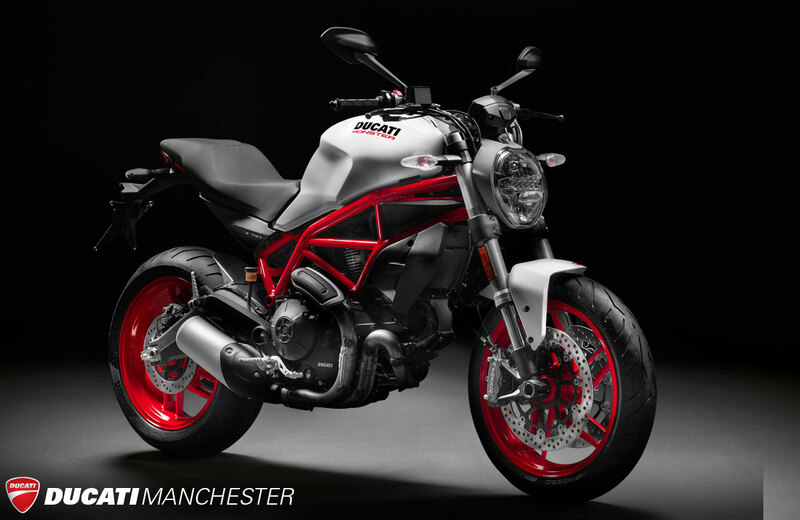 The Monster is a ‘street fighter’ that offers outstanding sport bike performance together with a style that has often been imitated but never equalled. 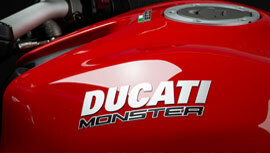 The Monster family offers a choice of air or liquid-cooled, 2 and 4 valve Desmo engines. 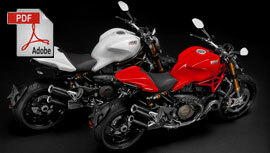 All models boast Superbike-derived Trellis frames, fuel injection and race-worthy braking and suspension systems. 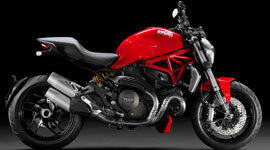 Meeting the demands of a new rider as well as the most experienced veteran, there is a Monster to satisfy everyone. The Ducati Accessories catalogue, which is included with each bike, is bursting with ideas to customise your bike and improve its performance. 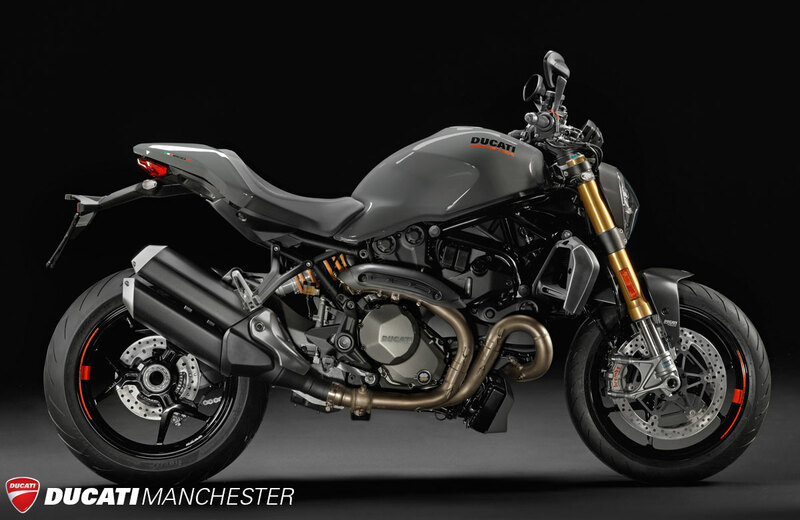 From beautifully formed carbon fibre parts and accessories machined from solid aluminium, to high performance exhaust systems and hundreds of special components, the Ducati Accessories catalogue has something to make each and every Monster unique. Every Monster is built with quality throughout. 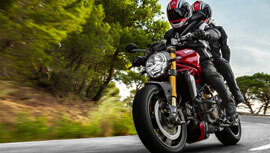 Every 2011 Ducati requires maintenance less often and with fewer parts during servicing, dramatically reducing maintenance costs – by as much as 50%*. 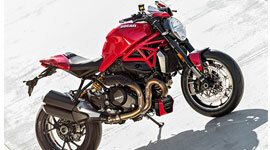 The Monster family welcomes all riders with the easy to own and ride 695. Moving to the larger capacity SR series of Monsters, the S2R uses 1000cc power and essential design to produce a thrilling road experience. 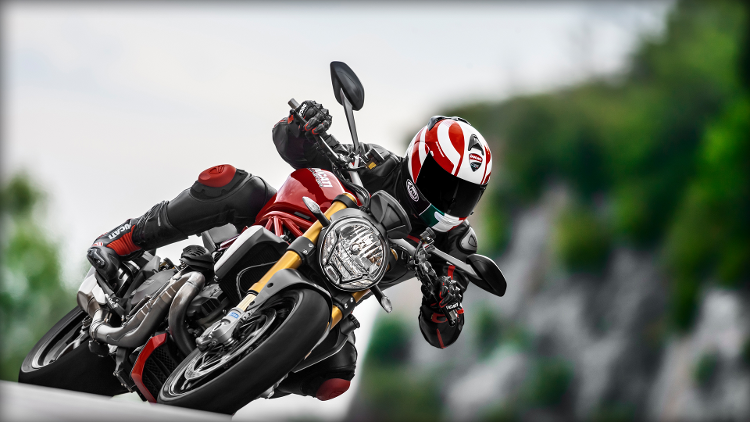 For the ultimate in Monster performance, the S4R and S4R S, with race-like performance for the street and aggressive SR styling, stand at the leading edge of Monster technology and design. And now for 2008, a Special Edition Tricolore S4R S makes its debut appearance at the head of the family. 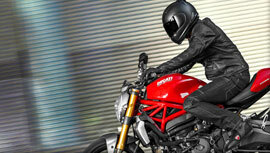 Book your Monster Test Ride today - We always have a selection of Demo bikes available. A radical experience at first glance, a perfect meeting of function and style, the basis for a new model of taste. The uniqueness of the Monster also comes from the technical solutions used. The balance between form and functionality has produced a bike that is well thought out down to the last detail, with finishing touches of the highest quality. 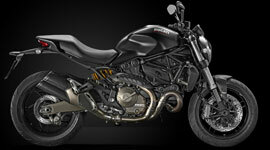 The metallic tank in sheer "Monster style", contributes to defining a superior class of bike. Ducati's traditional trellis frame has evolved, using a typical racing solution, in which the engine is the supporting element. The shape of the tail is sharp and the exhaust system, double and staggered and mounted on one side, leaves no room for doubt about the bike's performance. The thrill at first glance turns to wonder for those who love attention to detail. The TFT dashboard, together with the front and rear lights, demonstrates how this bike is designed for the future. The choice of rims responds to a performance need but without compromising on the captivating design for which they stand out. The brushed metal details enhance the bike, completing this work of art. The new Monster 1200 and Monster 1200 S are equipped with a state of the art 1199 Panigale inspired full-TFT instrument panel. The display's configuration is variable and automatically adapts to variations in environmental light, also changing according to the selected Riding Mode or fully selectable by the rider. There are three configurations, different in background style, information displayed, and display layout: CORE view is preset for the URBAN riding mode: only the most essential riding information is displayed; FULL view, preset for the TOURING riding mode, provides the same layout as CORE with more information displayed; and finally TRACK view is preset for the SPORT riding mode, having crucial information more immediately visible such as an rpm bar graph with the same sporty layout as that of the 1199 Panigale. 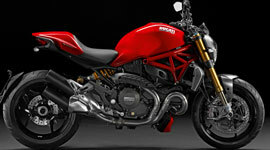 Please view our models archive to see previous Monster models years and colours. Monster Art was born as a space to try out innovative languages and stylistic trends with a main theme: to celebrate and emphasize the great artistic potential of Monster. The Monster Art project is a constantly changing laboratory, ready to provide the tools to explore creative solutions and give an exquisitely artistic character to its bike.